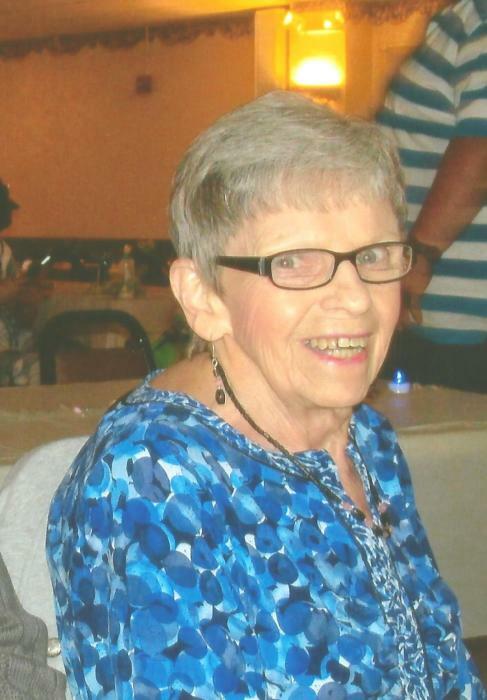 Obituary Notice for Patty (Jennings) Stout | Pepper Funeral Homes & Cremation Facility, Inc.
Patty J. Stout, 79, of Towanda, PA, formerly of Athens, passed away while surrounded by her loving family on Tuesday, February 5, 2019 at Guthrie Towanda Memorial Hospital. Born in Windfall, PA on December 1, 1939, Patty was a daughter of the late Donald and Geraldine (Allen) Jennings. She graduated from Canton High School with the class of 1957. Family and home came first in Patty’s life and she was a devoted wife, mother, grandmother, great grandmother, sister and friend. She will be remembered as a caring person who always gave her best. Patty also enjoyed her work in retail sales for several area stores. She especially enjoyed times spent with her grandchildren, taking walks with Joe and reading. Surviving is her husband of 35 years, Joe, her daughter and son-in-law; Lori and Dan Allen of Bentley Creek, two grandchildren; Melanie (Mark) Wood of Elmira and Tyler (Alisha) Allen of Alachua, FL, a great grandson; Jorden Wood of Elmira, four stepchildren; Don Stout of Canton, Tim (Teresa) Stout of Morrison, IL, Mitch Stout of Norfolk, VA and Tamila Stout of Granville Summit, several step grandchildren, her special friend; Deanna Barrett of Athens, five siblings; Donald (Barbara) Jennings of Canton, Marjorie Dunbar and Mary Lou Anderson both of Troy, Edith Franklin of Towanda and Jennie (John) Cook of Rome, her Aunt Martha (Ronald) Weeks of Elmira, many nieces, nephews and cousins who were dear to her heart. Also many wonderful friends at Chemung View Apts. and Colonial Terrace. She was predeceased by her precious daughter, Debra Kay Wood on Oct. 23, 1982 and brother-in-law Gerald Dunbar. Friends and family are invited to call Friday, Feb. 8, from 10 – 11 a.m. at Pepper Funeral Home & Cremation Facility, 578 Springbrook Dr. in Canton. Rev. Dan Walker will officiate a memorial service to celebrate her life at 11 a.m. Those who wish may consider a memorial in Pat’s name to St. Jude’s Children’s Hospital, 501 St. Jude Place, Memphis, TN 38105.